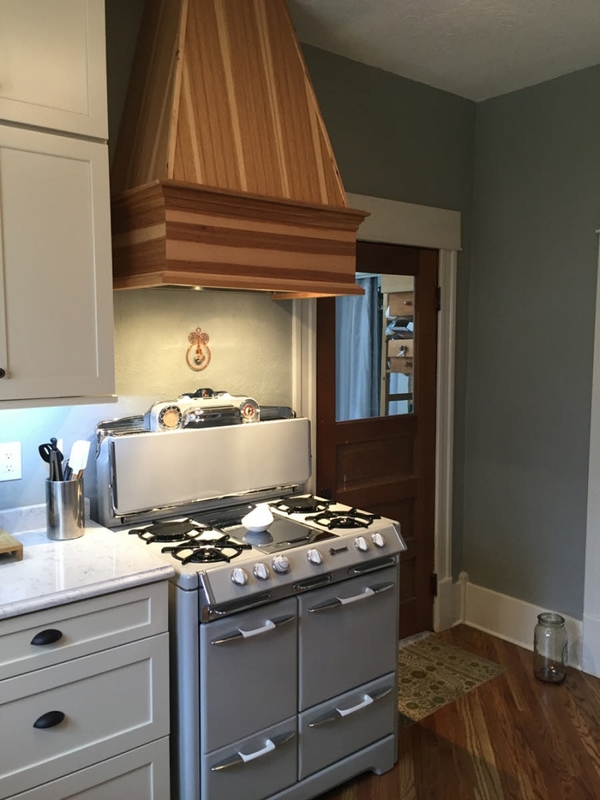 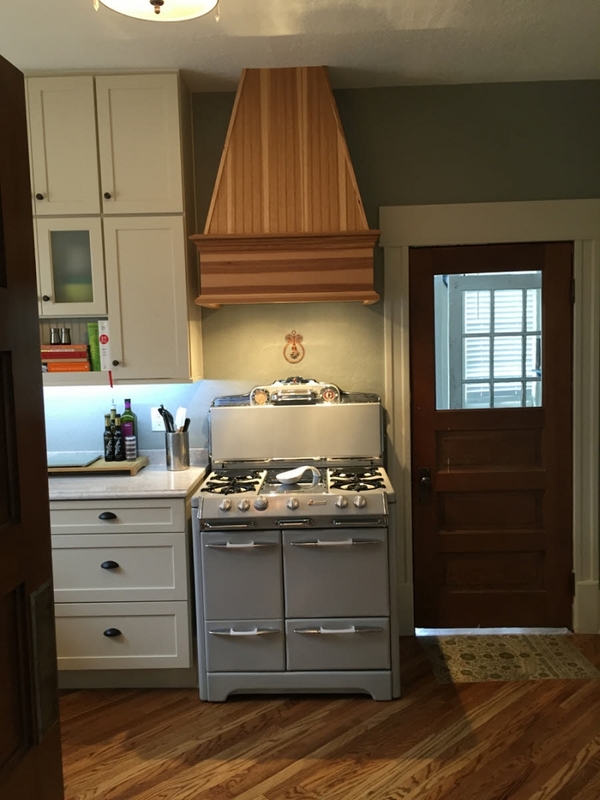 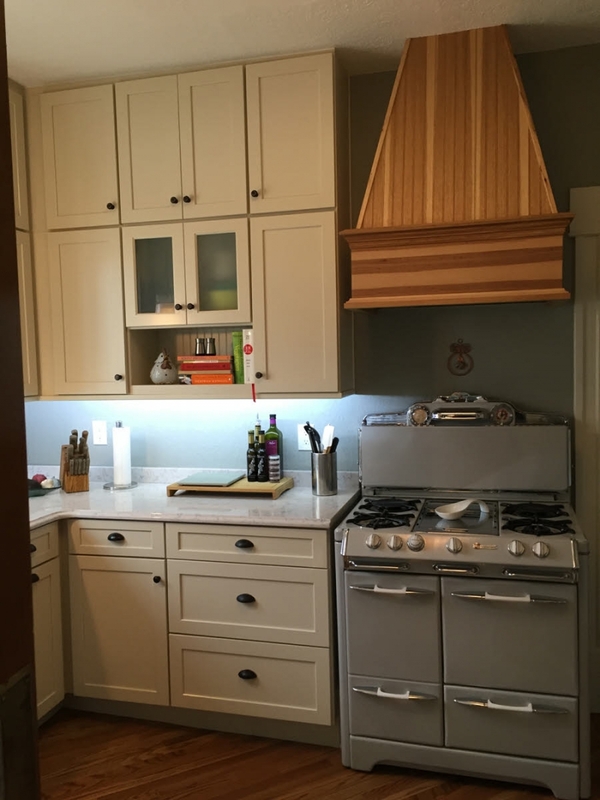 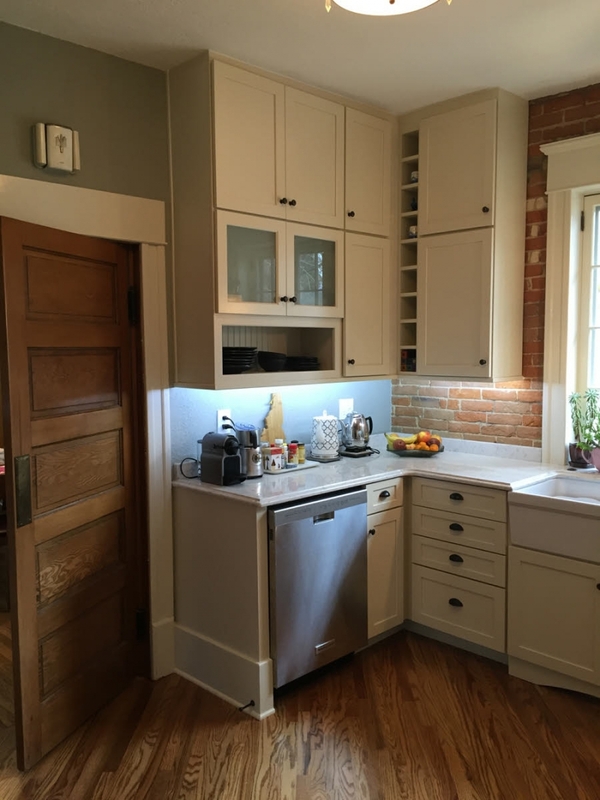 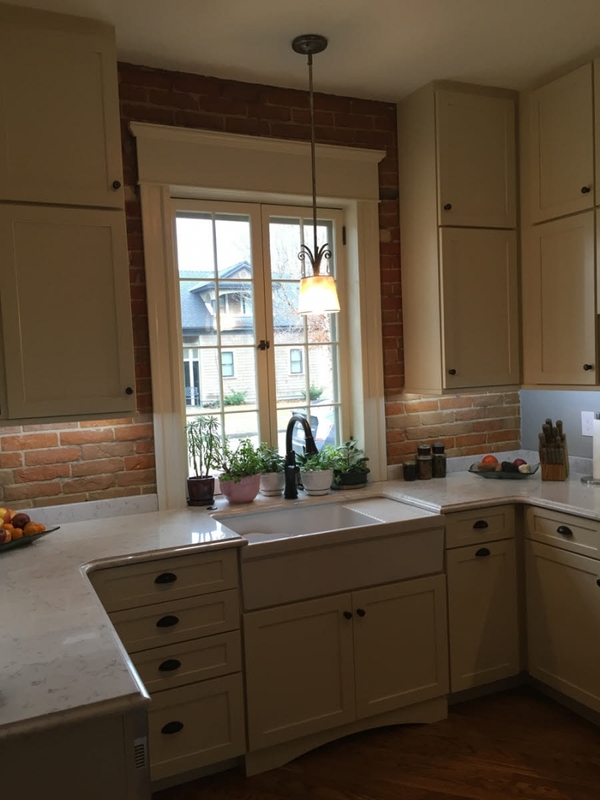 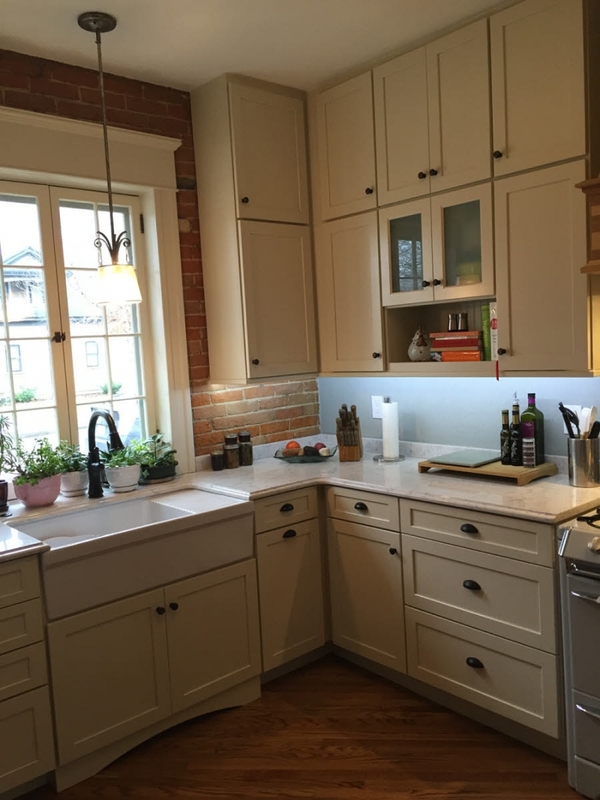 Cheers to a complete makeover, cooking in this Northend Boise kitchen is pure pleasure. 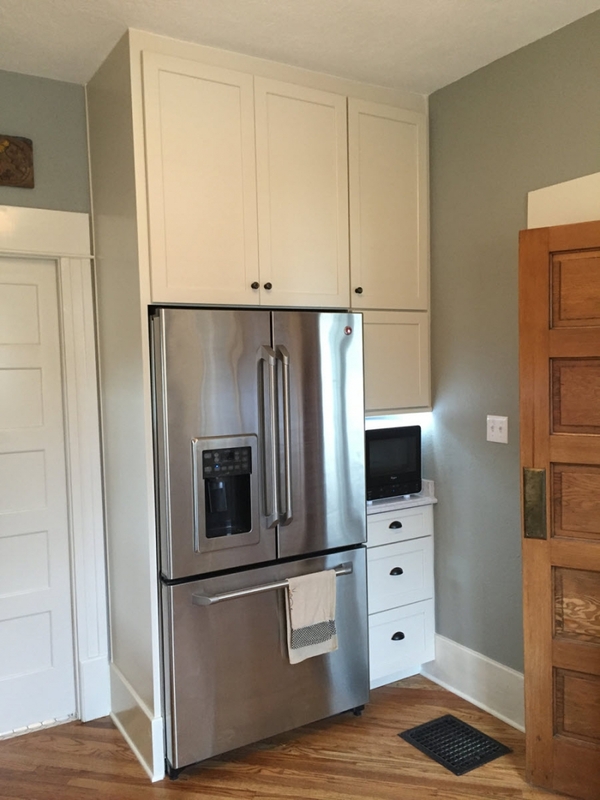 White painted cabinetry (pre manufactured/semi-custom) maximizes storage by capitalizing on tall ceilings. 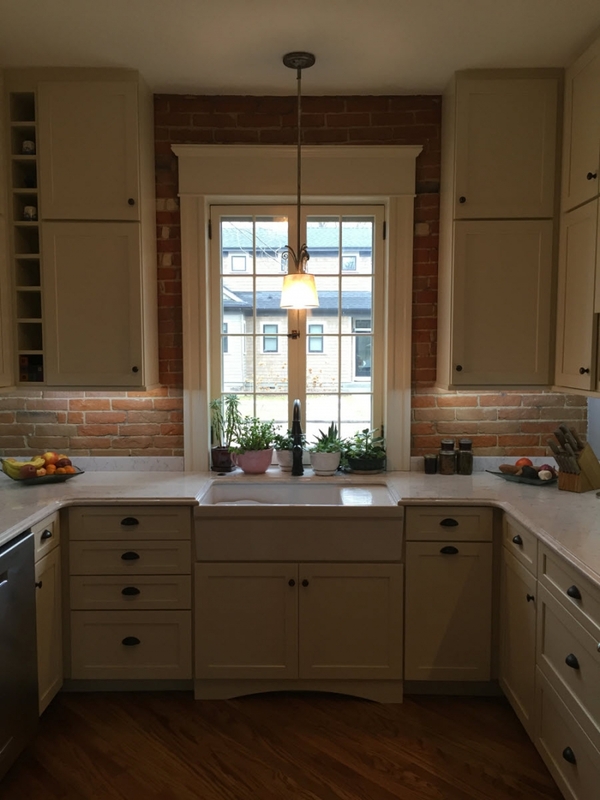 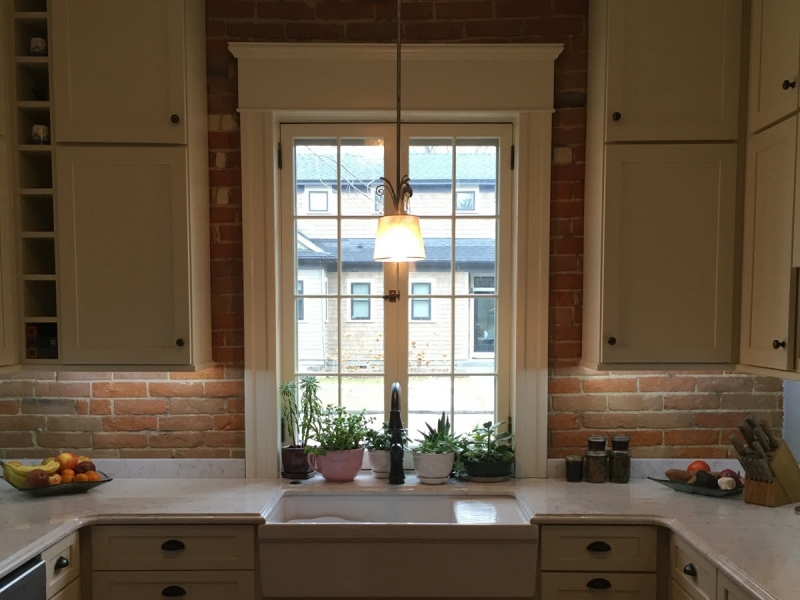 Also included are quartz countertops with a farm sink, and under cabinet lighting all married with the original brick wall to provide a truly unique historic feel.